Why settle for one amazing dish when you can sample ALL of them? And why have the stress of indecision when faced with an astonishing menu when all you need to do is let the chef send out course after course of his own excellent choice? Behold the delicious extravagance of The Tasting Menu – here is a curation of ten of our favourites. Awarded a Michelin star and three AA Rosettes in October 2016, The Tudor Room at Great Fosters demonstrates a passion for simple cookery with intense flavours. The Kitchen garden at Great Fosters also plays a major part in providing fresh, organic ingredients for the menu. Since opening is doors in 1991, the restaurant has won some of the highest accolades possible and continues to impress diners with beautifully crafted culinary treats and Michelin star service. Pied a Terre offers no less than 5 tasting menus, including a vegan menu. We are showcasing the chefs menu which is a list of sheer culinary magic! Lympstone Manor is a newly opened contemporary country house hotel overlooking the Exe Estuary with acclaimed fine dining by two Michelin star Michael Caines. Able to fully express his vision of modern British cuisine that is fresh and seasonal, he freely utilises the bounty of the Exe Estuary, East Devon and the Southwest. Two tasting menus are offered, The Signature menu and the Estuary menu. 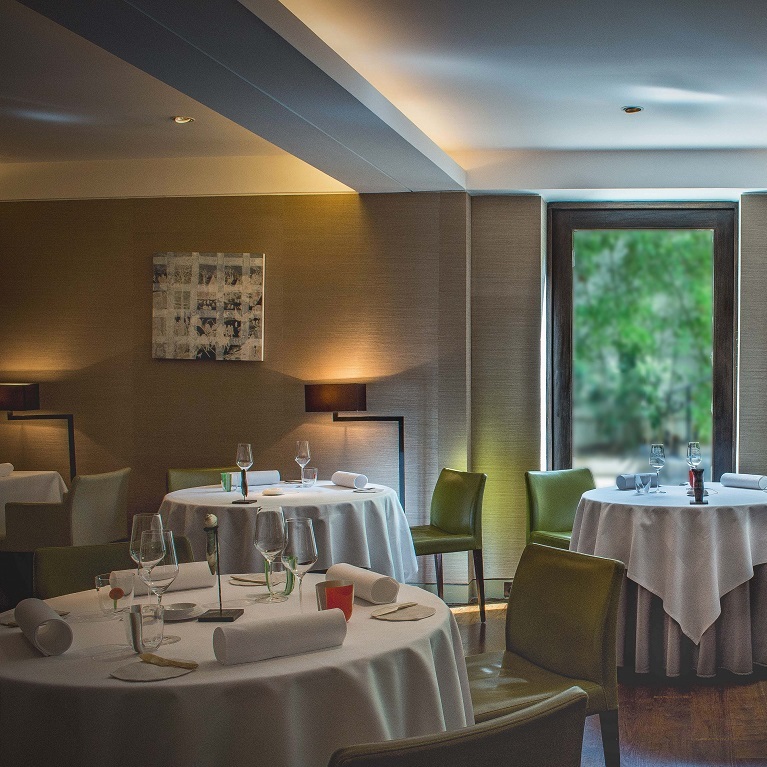 The Lecture Room & Library are where the culmination of Pierre Gagnaire’s Paris experience is showcased in a sophisticated, exclusive and luxurious dining room. There is attention to detail in every aspect of the experience, from the intricate food through to the impressive wine list and professional service. Taking the ‘Chef’s Table’ concept and exquisitely developing it, diners at the 26 cover 3AA Rosette restaurant are closely involved in the kitchen drama. Make your choice of tasting menus bursting with dishes of unique flavour combinations and ingredients before watching the creations of Head Chef, Ian Swainson unfold right in front of you. One of only four restaurants in the world to win the Wine Spectator Grand Award, The Greenhouse in the heart of Mayfair is set in an oasis of calm. 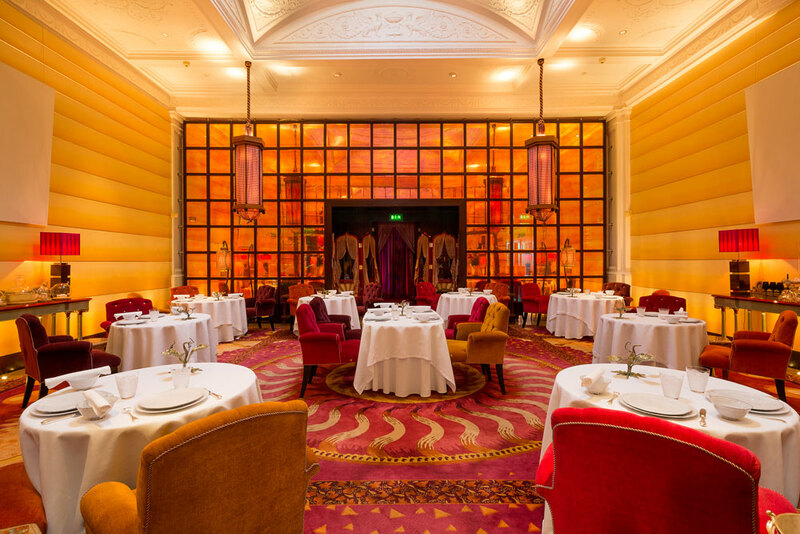 Arnaud Bignon’s exquisite French cuisine has won The Greenhouse a position as one of London’s most highly acclaimed restaurants. Along with the tasting menu, The Greenhouse also offers ‘Arnaud Bignon’s Discovery’ menu. Set in 22 acres of stunning parkland, Michelin recommended Paris House in Bedfordshire is located on the Duke of Bedford’s Estate in Woburn. The restaurant blends modern culinary techniques with the finest in seasonal produce. Offering three tasting menus VI, VIII and X showcasing the number of courses in the title, they are constructed with natural flavour combination. Housed inside a splendid Georgian townhouse off the Kings Road, guests enjoy a tasting menu experience like no other: a freewheeling expedition into the culinary imagination of Vineet Bhatia, one of the world’s foremost chef restaurateurs. Inspired by his Mumbai heritage, global travels and British residence, Vineet Bhatia’s cuisine is as daring as it is thoughtful; precise as it is generous. The restaurant is proud to say that it has the longest-retained single Michelin star in the UK, celebrating 35 years in 2017, and offers exceptional dining experiences worthy of a journey to Hambleton. Michelin star Head Chef, Aaron Patterson and his highly skilled team use the best local produce for seasonal dishes, and is renowned for producing award-winning game dishes such as grouse, partridge and woodcock. Find out more about the Luxury Restaurant Club – the UK’s largest fine dining club, where you can subscribe to enjoy instant rewards, invitations and insights from over 500 of the finest restaurants in the UK. Find out more here.